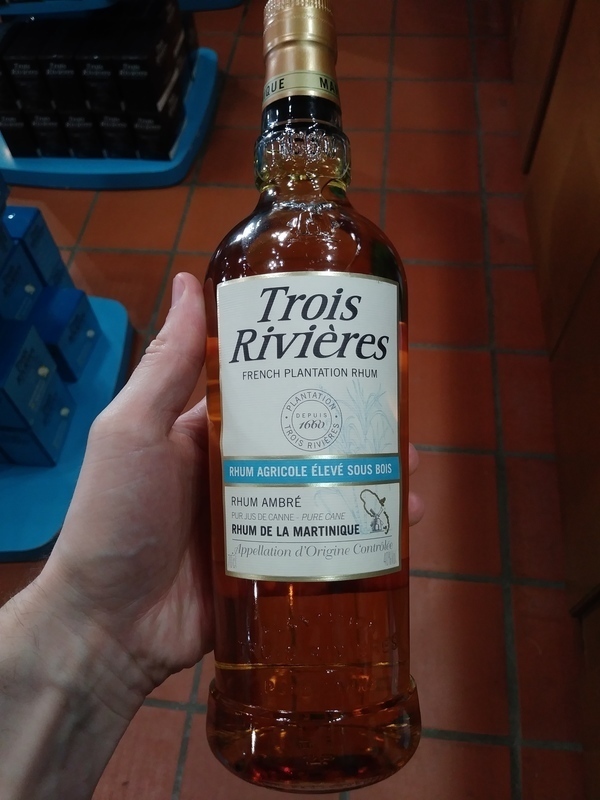 Have you found an online vendor selling Trois Rivieres Ambré? exceptionally citrusy and floral nose..... almost off putting, like it vaguely reminds me of sprite and dish soap? i prefer molasses rum as opposed to agricole, but other than the nose. this is really good. very clean finish, almost dry. very green nutty taste. i really liked this bottle. Rhum agricole élevé sous bois. 40% ABV. Aged 18 months in oak. Gentle nose. Fruitier and less briny than the blanc. Some cherry. I'm not big on ESBs, and this is a good example why. Trois Rivieres Ambre is meant for the Rhum Agricole fanboys. It does not get my points. Very cheap bottle and label design. Very strong floral and alcohol notes to both nose and palate. Super dry finish. Another great product from the Trois Rivieres line. Perfect for a softer 'ti-punch or as an ingredient in many tiki cocktails. Pleasant base agricole rum from Trois Rivieres, at nose spices, bit woody, sugar... taste smooth and delicate.